Today is Prickle-Prickle, the 41st day of Discord, in the YOLD 3185. 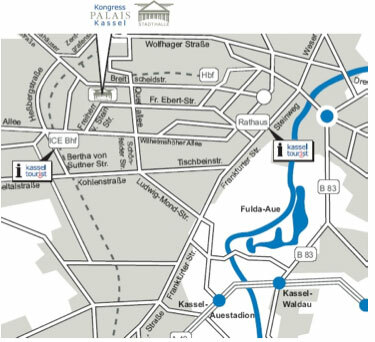 The 2nd Student Technology Conference starts tomorrow morning in Kassel. For two days students are invited to discuss interesting and new technologies from Microsoft. There will be several Workshops and a Fun-Part. 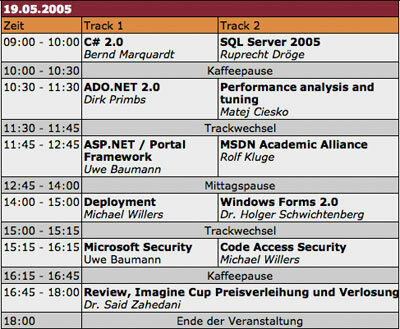 As a special highlight the national finals of the Imagine Cup 2005 will be held parallel to the talks. 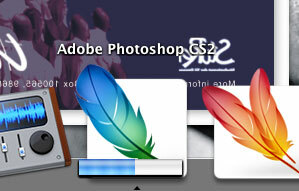 When an action takes longer Photoshop displays the progress bar beneath the Dockicon. This evening the “Bergfestfilm”-Team is going to celebrate the Title and Trailer-Release-Party. The party takes place in the BC-club. So don’t miss the event! 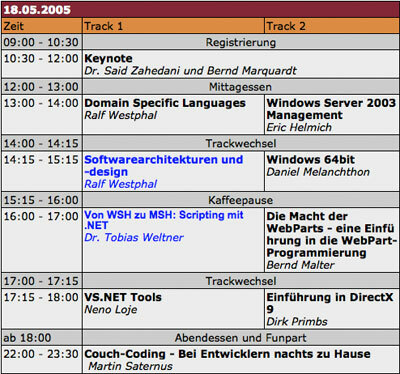 Only 3 days to go: From 20th to 29th May 2005 the Ilmenau Campus will be the place to be. It’s ISWI time. Under the slogan “one world one vision” participants from all-over the world come together to discus, act and get to know each other. There’s a quite packed schedule for the participants. Of course there will be a lot of live and ondemand coverage from the ISWI 05. The daily ISWISION-Live-Show will be the fixed-must-see event of every ISWI-evening. ISWISION is all about televised media coverage of the International Student Week in Ilmenau (or ISWI). Every two years about 300 participants from all over the world come to Ilmenau for one week to celebrate the largest international student festival in Germany. This event is covered by a group of about 100 students of the Technical University of Ilmenau in form of a daily television show. 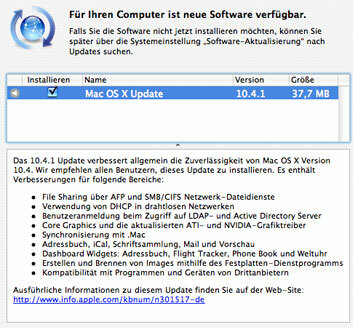 Most of the people working for this project are members of ISTUFF, the local campus television channel. I likely will have access to the ISWI media server. So expect some articles these days. have you seen this? Threesixty+BillG on the Cover. UPDATE: YES. It’s backward compatible! 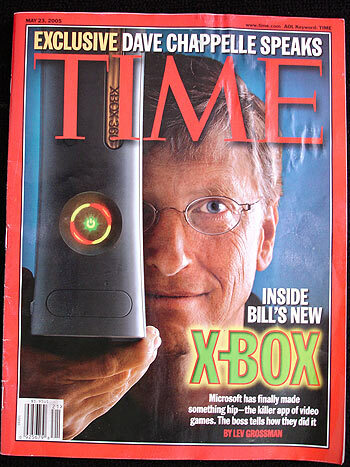 Xbox 360 as a media amplifier: HD TV, msn music store, your music…, Media Center integration. Damn. Why aren’t they showing the cool fun-video with SteveB and BillG for everyone? It’s not in the stream. It’s just there live on stage. J Allard talks about “knocking customers out of socks”…hmkay…want my three-sixty NOW! 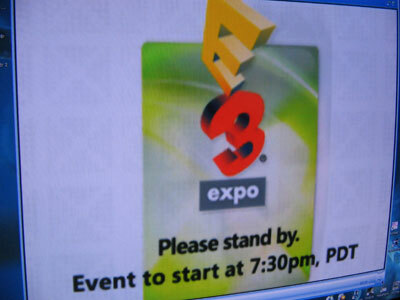 “every Xbox 360 will be designed to enable HD…” – does that mean there’s going to be several versions of the Xbox 360? nextgen AI: eats, sleeps, reacts, acts. Since we use dotMSN for multeem it’s fun to play with this great library. It’s not only me wondering why Microsoft did not release that kind of library. “I’ve had a “bot” online for a over a year now with their originial implementation. Add anika@mscorlib.com to your MSN list. She changes her display name automatically, from previous names that anyone can change. Supports display pictures (now that the new version of the DotMSN Lib supports it). I wrote on several occasions that Microsoft Resarch rocks. And it’s time to write it again. 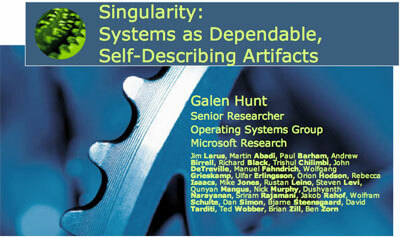 I just found out that the guys from MSR are implementing a research operating system in C#. It’s called Singularity. None of the problems mentioned earlier is solved. Thank you Apple.